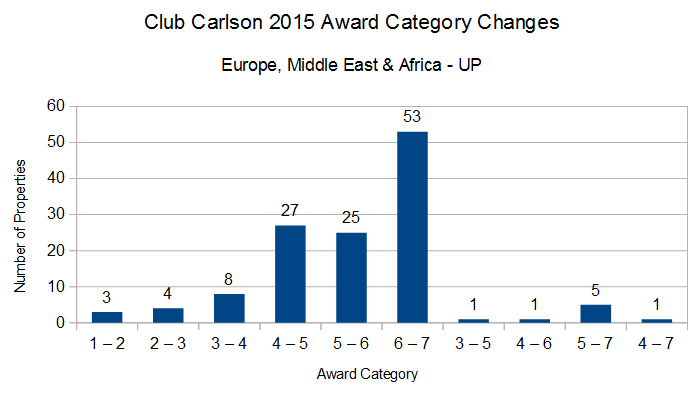 Club Carlson released it’s 2015 award category changes over the weekend, these will take place on June 1, 2015. There are 212 hotels that are moving up by one or more award category and 116 hotels that move down in award categories. 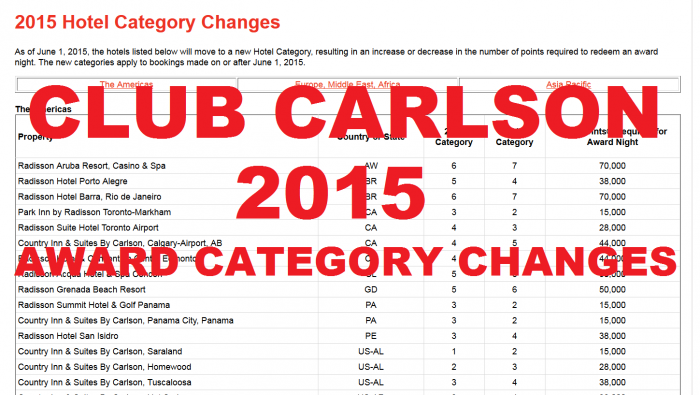 You can access Club Carlson’s web page for these changes here. Club Carlson has divided the list of hotels in three geographical areas and I will tackle these changes in the same format. 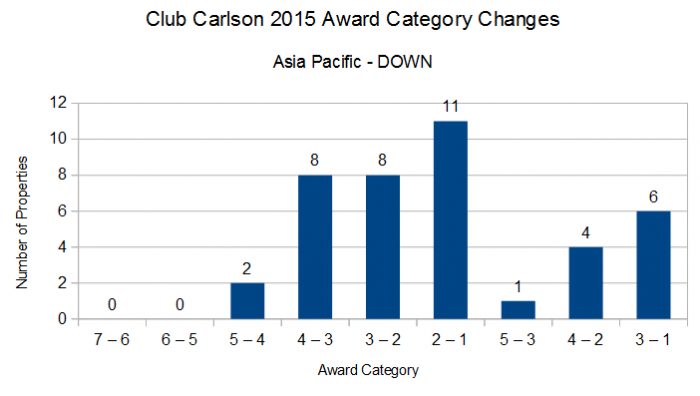 The changes in Asia Pacific (where Club Carlson is mostly non-existent outside of India) the changes are not drastic. There are quite a few hotels in India that will require less points per night. 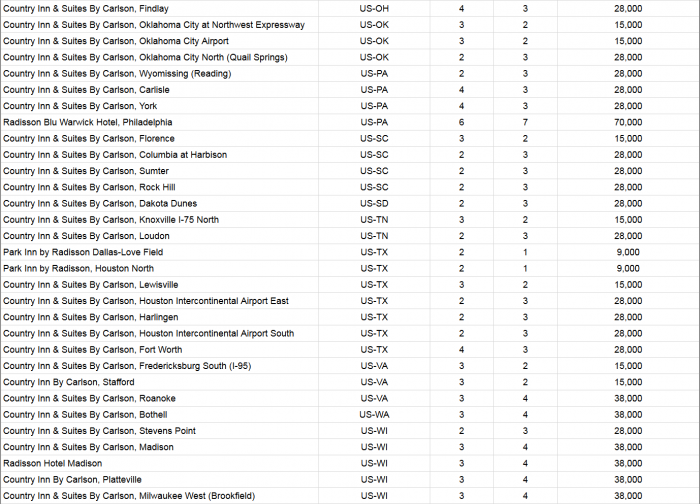 There are basically twice the number of hotels moving up in award categories than moving down. Club Carlson had great promotions 2 or 3 years ago (trying to ramp up the loyalty program) and has started slowly but steadily devalue its program. The free award night benefit that comes with its credit card in the United States is ending this summer (read more here). You have to, however, calculate the number of points that you earn from your Club Carlson stays including the promotions and then compare the number of points required for free nights. It is still not as bad as it may first look. It is obvious, however, that the program is being tightened. The problem that I have with Club Carlson is that their promotions and/or awards must be better than those of Hilton, Hyatt, IHG Rewards Club & Marriott before it makes sense for me to stay at their hotels taking into account the borderline non-existent status level benefits (compared to the hotel programs listed). 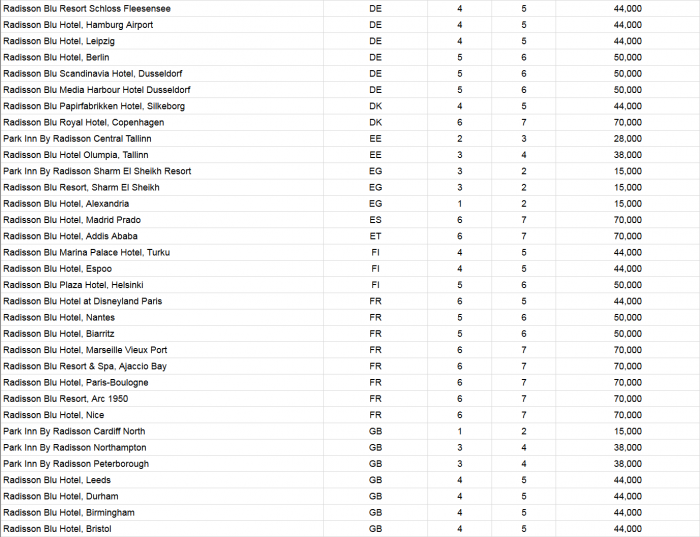 It is interesting that so many hotels are moving to category 7 in Europe considering the recent devaluation of the Euro.